Apologies for the late post! But I thought i'd share with you what I thought to be my top 10 picks of the month to roundup a great month of releases! A track that has been in the making for the past 2 years has finally been released, showing Angello move out of his SHM shell and create a track of his own. Giving us the progressive banger that is 'Yeah'. EDX gives us another uplifting track, finding the perfect balance of synth filled goodness and attention to detail, EDX is definitely still an extremely underrated DJ and I hope get the recognition he deserves soon. The Revealed Recordings prodigy puts a spin on the ethereal voice of Nadia Ali, making it a more mainroom friendly track and a little harder hitting, personally prefer the original but this is still a great remix and worthy of the top 10 for this month! The Freaks Of Nature tour was a big stepping stone for Kaskade, giving him full control of the production and how he wanted things to turn out. With the tour came a great amount of mashups made, this being one of the best ones he's come out with. Check it out! Another part electro house part progressive monster from the number 2 in the world, starting the track off heavy with some great grinding beats and transitioning the track into a feel good song. Check it out! Chuckie is out with another Dirty Dutch banger, this time with the up and comer Junxterjack, featuring a bouncy, bass filled track. David Guetta closed with this when I saw him live and although I love the hook of the vocals, Fareoh perfects the track with the drop, resulting in a big room banger! Qulinez, sgined to Afrojacks Wall Recordings have recently be creating quite the impression over the past year, putting out insane remixes such as 'A Heavy Abacus', this one does not disappoint and definitely deserves the number 3 spot! Although I see the album as a whole masterpiece, I had to give the number 2 spot to my favorite song amidst all the great tracks, the vocal hook of this song is irresistible. Check it out! 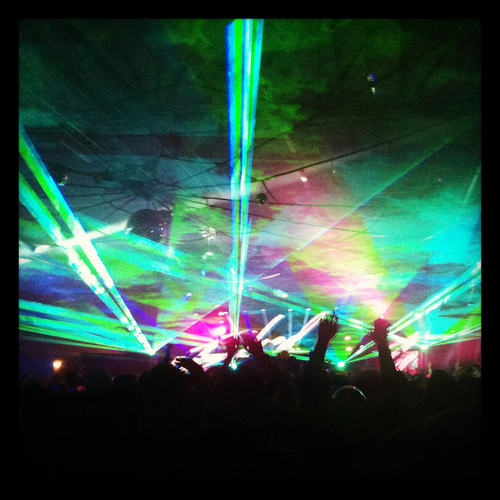 Everyone who follows this blog will know how much praise I have for Eric Prydz. And this track encapsulate what the producer is all about, a great vocal hook from John Ciafone, big room melodies, not over the top drops and an addicting song overall! 0 Respones to "Top 10 Tracks of October "